Thanks to a study by the World Health Organization (WHO), we now know which countries (and genders) maintain the most active lifestyles, and the laziest. The research, published in The Lancet on September 4, compiled 358 surveys from 168 countries. The physical activity of a whopping 1.9 million people, recorded between 2001 and 2016, forms the basis of the research. The findings reveal that, globally, 23.4 percent of men and 31.7 percent of women do not get enough exercise, as recommended by experts. Meanwhile, in China, only 12.2 percent of women fail to get enough exercise, outperforming their counterparts by almost 4 percent, according to 21-Century Finance. The WHO defines sufficient exercise as 75 minutes of high-effort activity or 150 minutes of moderate-effort activity per week. 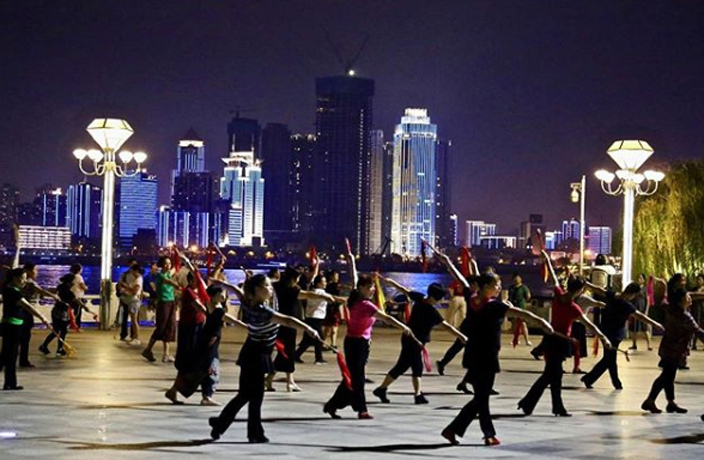 “Thank you, mothers and aunties, for your contribution to China’s physical activity undertaking,” one netizen commented in reference to China's ‘square dancing auntie phenomenon.’ The performances, which are ubiquitous in China, are considered a fun way to exercise and get down on the latest neighborhood gossip. Uganda received top honors for having a meager 5.5 percent of their population under the physical activity threshold. England and America ranked in the bottom half with 35.9 and 40 percent of citizens not getting enough exercise, respectively. The ongoing study has monitored the world’s physical activity levels since 2001. The goal is to reduce the number of people getting insufficient physical activity to 10 percent by 2025. To find our where your country placed in the study, click here. As its previous name suggests, the football club used to be managed by none other than the Tianjin-based ‘healthcare product empire’ Quanjian Group. In this video, Shanghai comedy group Mamahuhu give pole dancing a try under the tutelage of Coco Kehong, a world champion in pole dancing. A case has been filed against Quanjian for false advertising, exaggerating the efficacy of their products and organizing pyramid schemes. As of press time, multiple e-commerce platforms, including JD.com, Tmall and Taobao, have removed Quanjian’s products from their websites. The twin babies, named Lulu and Nana, are genetically modified in a way that makes them resistant to the HIV virus. The Chinese travel and tourism industry provided around 22.5 million jobs for the most populous country in the world. China's top cities are becoming global powerhouses, but what about the rest of the Middle Kingdom?